There’s nothing like a church performance to put a fine point on the meditative-spiritual practice of listening to music. Earlier this year James Jackson Toth (aka Wooden Wand) teamed up with drone/ambient musician William Fowler Collins for an album of modern pastorals, Under Stars and Smoke. Over three tracks, the album is stark and intimate, something you might listen to on headphones late at night when no one else is around. The inner workings of the collaboration are a mystery in terms of who-plays-what and how the duo’s individual contributions form the whole. Seeing them live, though, you can start to piece together a more complete picture of the composition. The performance we captured here, part of the excellent Music off McGolrick series at the Park Church Co-op in Greenpoint, finds the duo recreating most of album live in a single piece. Collins plays guitar throughout (often played with a brush), while Toth contributes vocals, harmonium, and guitar. Their performance comes off on the shorter side at under twenty-five minutes, but it’s riveting all the way through. I recorded this with the mics way up close, capturing the music clearly as well as some of the unique acoustics of the church. The sound is excellent. Enjoy! Back when he was in law school, my college buddy Cory Rayborn decided to put out a 10″ record for the band Bardo Pond, on a new imprint he called Three Lobed Recordings. Cory didn’t have any grand cred-building mission or even a firm direction in mind; he just wanted to give wider exposure to the outsider music he held dear. So after the Bardo Pond release came another, then another, then many others, until the tiny North Carolina label that my friend founded as a hobby suddenly found itself compiling a tenth anniversary vinyl-only box set – which sold out in a matter of days. And at this year’s Hopscotch Music Festival, Three Lobed and the Durham, NC-based WXDU (nominally Duke’s college radio station, but staffed almost completely by locals) brought together an incredible lineup of artists who have released records on Three Lobed, together with other artists who are friends and admirers. James Jackson Toth, aka Wooden Wand, first joined the Three Lobed family on the label’s 14th release, with the Wooden Wand and the Vanishing Voice album l’un marquee contre la moissoneuse. 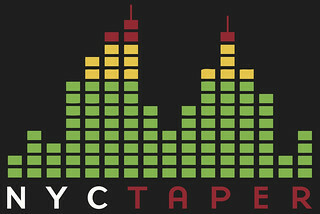 Toth has a staggering catalog of releases to his name, including everything from homemade tapes and CD-Rs to the recent deluxe version of his current record Briarwood (which, if you Kickstarter funded enough money, included a USB drive filled with over 100 demos, live recordings, alternate mixes, and outtakes). While Briarwood and Toth’s other most recent material could be best described as country-driven rock, Toth’s work has taken many twists and turns, with deep dives into free jazz, noise and acid folk. Toth has a new album on the way by the name of Blood Oaths of the New Blues, which promises to continue in the extremely accessible (and well-produced) vein of Briarwood. 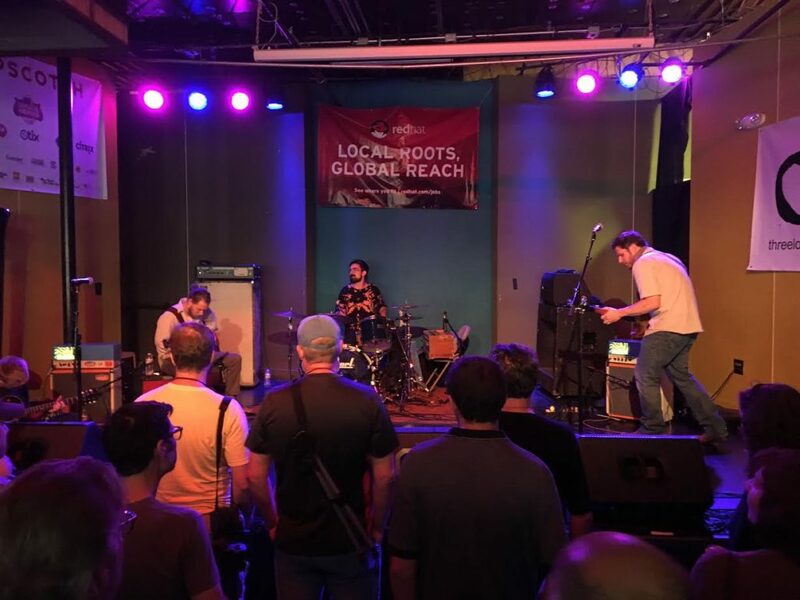 Here at the WXDU/Three Lobed Day Show at Raleigh’s King’s Barcade, we had the pleasure of seeing Toth take the stage to perform a short-but-satisfying set that included several of the new Blood Oaths tunes. After a heartfelt thank you to Rayborn and his accomplishments with Three Lobed, Toth dug right in with “Mother Midnight”, from his 2006 record Second Attention, a mid tempo rocker that showcases the deep soul in Toth’s voice. You’d never know, from listening, that he is originally from upstate New York. 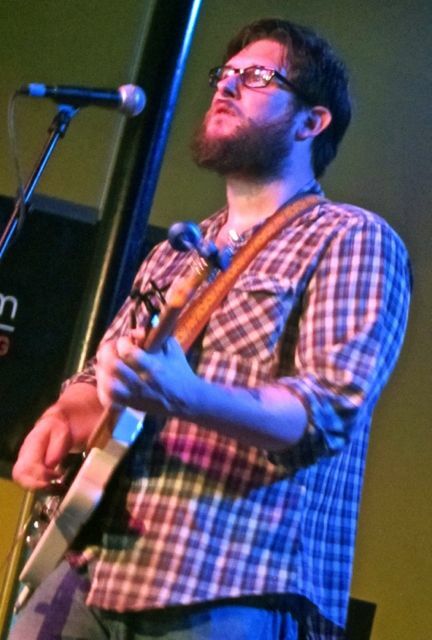 From there, the new material began with the brooding “Southern Colorado Song”, one of several of Toth’s new songs that demonstrates the further refinement to his songwriting even as it stays true to his essential aesthetic. Perhaps the most moving song of the set was the new “Dungeon of Irons”, whose lyrics were culled by Toth from a compilation of the actual last words of death row prisoners. In Toth’s hands, these scattered musings become a profound statement about mortality and the essential unfairness that plagues both life and death. As this set wound down with the new song “Jhonn Balance” (in tribute to the lead singer of the experimental band Coil), Toth’s day was just beginning; Wooden Wand played Berkeley Cafe down the street later that night. For this post we are offering both the Three Lobed/WXDU Day Show set that I recorded, as well as a partial recording of the Berkeley Cafe set that was recorded by a local taper Evan Lamb. While the Berkeley recording was done with less complicated equipment, Toth felt that this was the better of the two performances, and this recording adds an extra song not played at the earlier show. Thanks to James Toth for allowing us to post these sets.